Have you always wanted to play the guitar? Are you an absolute beginner, or can you play but are looking to fill some gaps in your guitar knowledge and technique? Regardless of your experience, Simply Guitar has something in it for you! 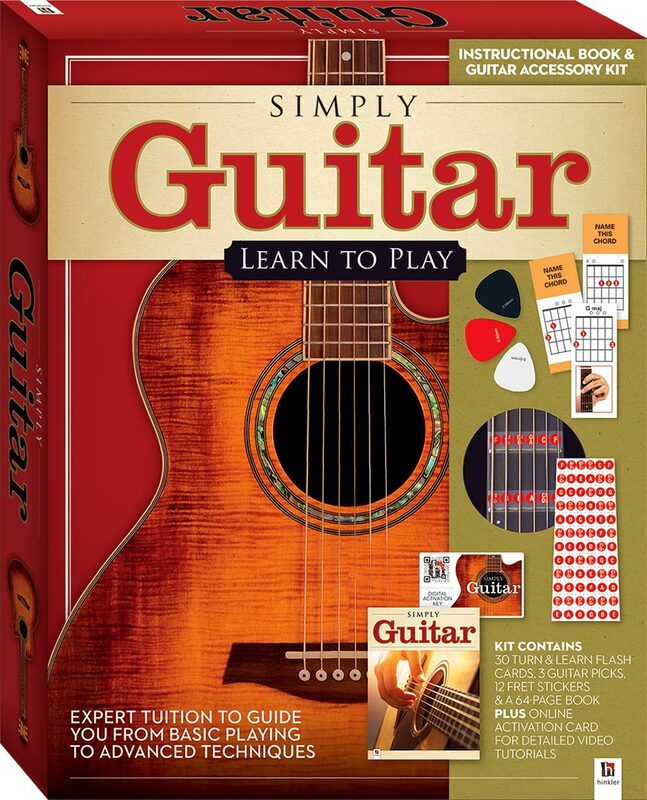 This kit includes a 48-page instructional book and an activation card for an exclusive 48-minute video that guides you from the guitar basics through to understanding chord tablature and progressions.